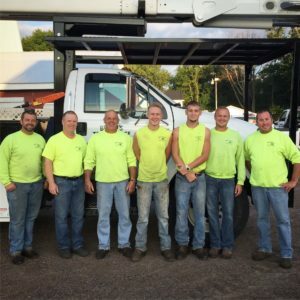 Brian’s tree service is well equipped with quality equipment to accommodate your job, large or small. Brian and his team enjoy the challenges of their work and pride themselves in providing detailed, personalized services to their customers. From large tree removals to smaller pruning and trimming services, we work on projects of all sizes. We are also storm and tornado damage experts, responding quickly with same day service to remove and clear trees and minimize the impact to you and your family. Brian with Brian’s Tree Service is licensed and equipped for all your roadside and rights of way spraying application, specializing in township road and dredge ditches. 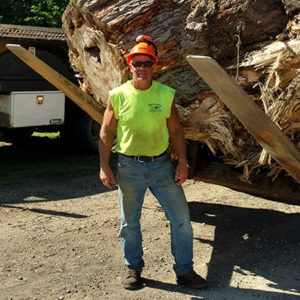 Brian Gniffke is known for his tree work in and around Southwest, MN. Born and raised on the farm, he learned the importance of hard work and dedication. He has always enjoyed tree work so, in July of 2002, Brian’s Tree Service LLC became official. Brian’s attention to detail, commitment to safety, proper equipment, and dedicated staff all contribute to the assurance that each project is done professionally and efficiently. Brian and his crew take pride in their work: “We put our signature on each and every job. Tree cutting is both an art and a science. There are no short cuts.” You can rest assured that the condition of your property will be “neat, clean, thorough and detailed” when a project is complete. Brian brings heart, experience and expertise to every job site. Your team was efficient and professional. Thanks again for a job well done!